Good points I had not thought of. They really are great lights. Don't need two but wanted two. Maybe three. My High CRI Sapphire GS 5600K is on its way. Thanks Don for the super fast turnaround! Really looking forward to this as it will be my first Sapphire (and first McGizmo, as well) light. Last edited by Nimitz68; 12-26-2018 at 04:56 PM. Loving mine. Thanks again, Don. Beautiful Saphphire 25 with high cree 3200K 45. 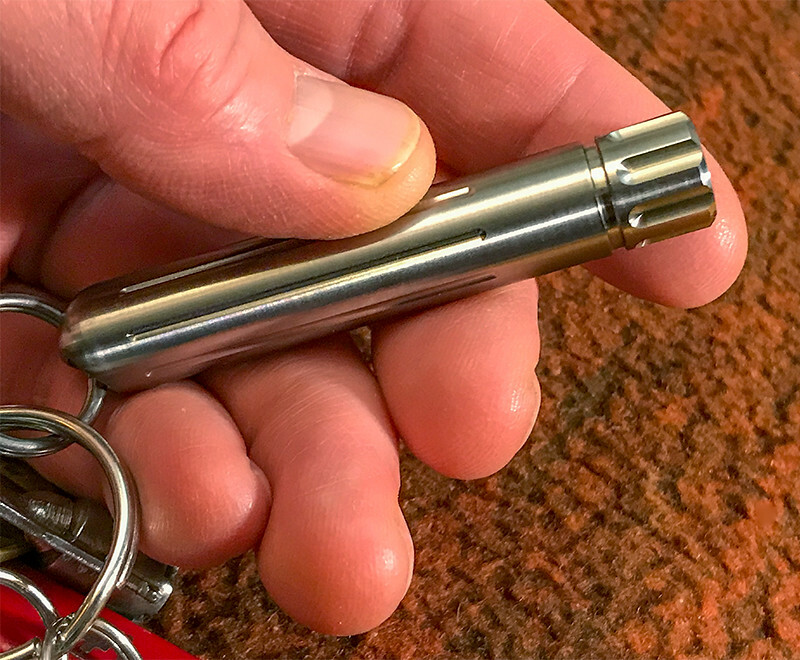 Makes a lovely little accent pocket light for macro shots, EDC and key ring. Wow what a great light to have for your 1st post! 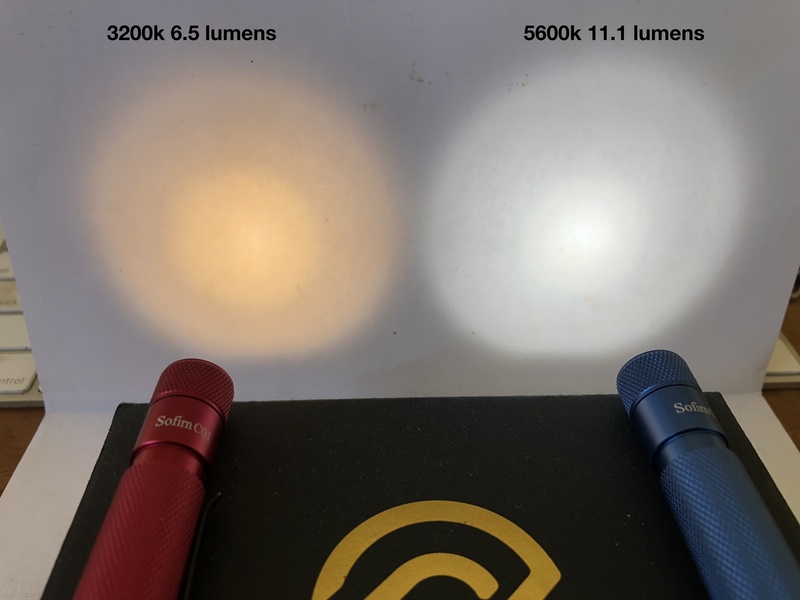 Can anyone post a comparison photo between the Yuji 3200K, Yuki 5600K, Nichia DS, and Nichia GS? Personally I already know what the DS vs. GS looks like, but it would be nice to see all of the currently-available options lined up next to each other on a white background. Hey Don, thanks again for repairing my Sapphire with the new Yuji 5600k LE. This is a great emitter! Very smooth beam, just a tough of throw (for a 5mm), and excellent clean white tint. I think this is just about as good as it gets from a 5mm. Thanks for offering these! I suspect the Sapphire might have a less pronounced hotspot when using the Yujis. The Sofirn reflectors are pretty shiny, and create the hotspot. The Yuji in a non reflective head (such as the Sapphire maybe?) has imo a much nicer beam, with no hotspot. The Yuji LED already has a very nice aspheric lens built right on to it. Last edited by jon_slider; 03-03-2019 at 07:14 PM. 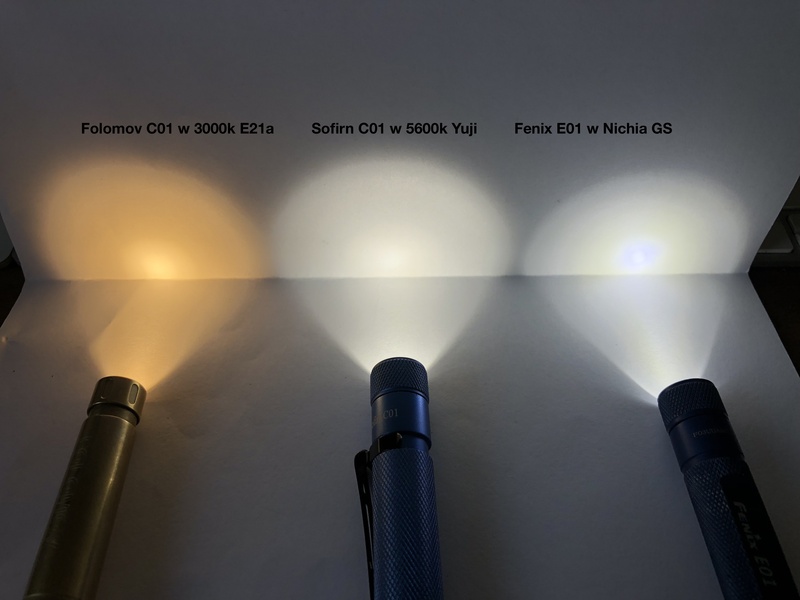 No doubt the Yuji LEDs look way better than the Nichia GS.